What is Computer Malware Protection? | How to Prevent Malware Attack? Computer malware protection is a multi-layered defense against varieties of malware. It is an essential part of security measures as it prevents cyber attacks. What Does Computer Malware Protection Prevent? Computer malware protection prevents ransomware attacks. Ransomware may infect the computer through a phishing email, a phishing URL, or fake software. Once it’s infected the computer, it encrypts valuable files. It targets PDF, word, jpeg, mp4, text, and more. Once the file is encrypted, it drops a ransom note containing how to recover the files. Computer malware protection prevents ransomware attacks with malware detection tools. These malware detection tools deeply scan the file. So any malicious software is identified before it spreads in the computer. 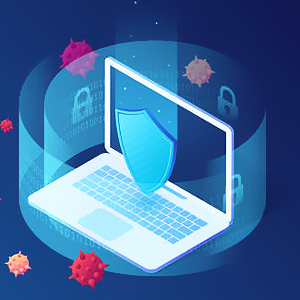 Computer malware protection also prevents data theft. Trojan, spyware, and rootkit are data stealing malware that target personal information. The information collected is transmitted to the hacker over a C&C server. Then the hacker can use the stolen information to make unauthorized transactions. Trojan, spyware, and rootkit are difficult to detect. They work secretly in the background and rarely cause computer glitches. With this, they can remain undetected for a long time. Computer malware protection detects these malicious software by deep scanning the hard drive. If the anti malware suspects that the file is malicious, it is quarantined in the sandbox. Inside the sandbox, its behavior is further observed. If it shows any harmful behavior, it is removed from the computer. Computer malware protection prevents the computer from turning into a zombie computer. Hackers infect many computers with a botnet worm. A botnet worm makes the computer part of a botnet - a collection of zombie computer. These zombie computers are controlled by a hacker through the main server. They are used for cyber crimes and malware attacks. Some computers send out spam without the users’ knowledge. A reputable anti malware software that can filter network traffic, can prevent this malicious activity. There are free malware protection available online. A computer with malware protection is safe from drive-by-downloads. Unintentional downloads commonly known as drive-by-downloads are obtained by visiting an infected website. Even legitimate websites are not exempted from malware infections. Hackers also target legitimate websites. This is when malware installs secretly. Because it happens behind the background, it’s hard to detect. But computer malware protection prevents a drive-by-download. The malicious file is jailed and destroyed inside the sandbox. Spear Phishing is the leading cause of malware infections across the globe. Most malware are distributed through email. It is a malicious email that pretends as an email from the FBI, a boss, a friend, or a relative. It encourages the user to act promptly through the use of a threatening or an engaging subject line. When the user opens the email, malware installs on the computer. Anti malware software instantly detects malicious email and prevents it from opening. Now that you know what computer malware protection does, you need to find a good anti malware software to protect the computer. Download Comodo Anti Malware for a personal computer. It is free malware protection. A great thing about Comodo Anti Malware is that it is easy to use and install. It will scan the computer for malware and viruses. For a business network, Comodo Advanced Endpoint Protection is recommended. It consists of a multi-layered defense to protect the network and endpoint devices. Comodo Advanced Endpoint Protection uses a class packet filtering firewall to detect spear phishing. It filters network traffic and monitors data transmission to prevent malware infections. Comodo Advanced Endpoint Protection has a sandbox-based technology built upon Default Deny. The Auto-Containment automatically contains any malicious files that enter the computer. All the untrusted files are held in the Auto-Containment for close analysis. The Auto-Containment detects ransomware in no time. Ransomware can get past the antivirus. But with the second layer of security, it is detected. The Auto-Containment never leaves a window open for a ransomware infection. Fileless malware is the type of malware commonly used today. It is for conducting high-profile malware attacks. Comodo Advanced Endpoint Protection uses a Host Intrusion Prevention System. It prevents fileless malware attacks. HIPS monitors the computer memory and registry. It also detects sophisticated malware that is undetectable by the firewall and antivirus. Comodo Advanced Endpoint Protection knows how to protect a business network. Its features are designed to prevent advanced cyber threats on the endpoint devices. Download Comodo Advanced Endpoint Protection now. It offers a free malware protection and guarantees 24/7 support.